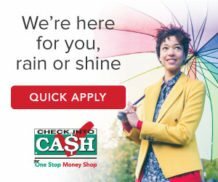 Check Into Cash is a well-recognized name in the consumer finance industry and offers multiple financial services & product’s in-store and online. The company has been in business since 1993, headquartered in Cleveland, Tennessee and operates more than 900 stores to service customers in 32 states. Check into Cash is a direct lender as well as a leader in online short term payday loans and in-store cash advances. Besides payday loans, Check into Cash also offers installment loans, title loans, lines of credit and flex loans. Furthermore, they also provide in-store services like check cashing, western union®, bill pay, prepaid money card, cell phone top-ups and sell a gift card for cash. Check Into Cash is also one of the founding members of Community Financial Services Association of America (CFSA), a trade group which defines best practices and guidelines for the payday loan industry. Must have an active checking account open for at least three months or more. Must be at least 21 years of age (19 years of age if you live in Alabama). Must be a permanent citizen or resident of the U.S.
Must provide a valid home/cell and work phone number. Must provide a valid email address and a social security number. Must have a driver’s license or photo ID issued by the government. Proof of Income (Most recent pay stub or any other income proof). A brief overview of product’s and services available at Check Into Cash. Online Payday Loans and In-Store Cash Advances. Payday loans are specifically designed for short-term use and also referred as small-dollar loans. Payday loans can provide quick access to money during a sudden emergency like medical expense or a car repair. 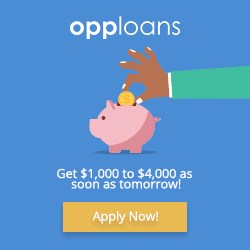 This loan option is quickly accessible and easy to apply for, and the qualification is less stringent than for a traditional loan. The amount borrowed is repaid back in a short duration and is typically due on the next pay day. A payday loan can be useful if you are in financial difficulty and need a small loan for a short period with access to quick funds to catch up with some necessary unexpected expenditures. The loan amount you can obtain depends on your income, the state of residence and other underwriting criteria and will range between $100 to $1000. For new customers Chech into Cash provides maximum amount up to $750 or up to states max permitted limit. Some states have specific laws to limit the maximum amount of money one can borrow, or a payday lender can lend to their customers. Therefore, based on the rules in your state the amount you are allowed to borrow varies. Check into Cash is a state licensed lender and will not fund more than the state limitation. Getting a payday loan at Check into Cash is a comfortable and hassle-free process. There are two options to pick from based on your personal preference, either apply for financing by using a simple online application form on the website or visit the nearest store to apply in person. 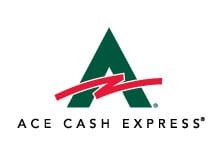 In-store cash advance: – If you are in need of immediate access to money today and unable to wait until the next business day to receive funds, applying for a payday advance loan in person at a store is the best option. The entire process takes as little as 15 to 30 minutes, and you will be able to walk out with cash on the spot. Just step into one of the convenient store locations near you to apply with the required documents like a personal check from an active bank account in your name, current banking statement, most recent pay stub or any other form of income, drivers license or any government issued I.D. When you arrive at a store, an associate will ask you to fill out a simple paper application with some necessary information and will conduct an evaluation to determine the amount you qualify for. If approved, the store associate will discuss the loan amount, fees and the repayment term; if you consent to proceed with the loan, you will be asked to sign a loan agreement and write a personal check, which will cover the principal amount and fees. The store will hold this check, until the agreed date and will redeem it on the date mentioned in your loan agreement. You can also pay in cash by visiting the same store on the due date. Online Payday Loan: – The online option is beneficial if you discover that the closest store is miles away from your home or you are unable to drive down just because your car needs a repair. Check into Cash provides the easiest way to apply for a payday loan without leaving the comfort of your home, the only thing you require is access to the internet to get started. Just visit their website or download the mobile app and complete a quick and easy online application. The application would need you to enter your personal information like social security number, drivers license number, date of birth, income source, employers details, bank account number and routing number. Once the required information is entered and submitted, in less than a couple of minutes you will get an instant decision. Whether your loan application is approved or declined. Safety 128 bit secure sockets layer. Verified by Network Solutions L.L.C. State Licensed Licensed lender, founded in 1993. 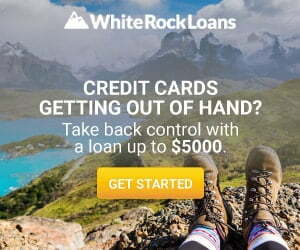 Loan Amount $100 to $1000 in Payday loans. New customers up to $750 or states max loan amount. Amounts may vary depending on the state law. Loan Period The loan term varies depending on the state law. Payday lending is protected by state laws and regulations, the Fee, APR, Funding amount has set limitation, depending on the state and all payday lenders have to follow the guidelines. The fee charged may vary depending on the state you live in, and on the amount you borrow. It is important that you look at your state fee schedule on the Rates and Terms page on Check into Cash website. The example below covers Fees, APR, State Serviced, Max Online Loan, Amount Advanced, Disclosures, Repayment amount. The calculation is based on $300 financed amount and 14 day period for loan repayment. Some states may have longer tenure for repayment, depending on the state law. California $255 $255 $45 460.08% $300 *Calculation is based on 14 day tenure with 1 payment. Delaware $1,000 $300 $90 391.07% $390 *Calculation is based on 28 day tenure with 1 payment. Florida $500 $300 $35 304.17% $335 *Calculation is based on 14 day tenure with 1 payment. Idaho $1,000 $300 $75 651.79% $375 *Calculation is based on 14 day tenure with 1 payment. Illinois $860 $300 $46.50 404.11% $346.50 *Calculation is based on 14 day tenure with 1 payment. Indiana $605 $300 $44 382.38% $344 *Calculation is based on 14 day tenure with 1 payment. Kansas $500 $300 $45 391.07% $345 *Calculation is based on 14 day tenure with 1 payment. Louisiana $350 $300 $55 477.98% $355 *Calculation is based on 14 day tenure with 1 payment. Nevada $1,500 $300.00 $75 651.79% $375 *Calculation is based on 14 day tenure with 1 payment. Ohio $1,500 $300.00 $78.59 682.98% $378.59 *Calculation is based on 14 day tenure with 1 payment. Oklahoma $500 $300.00 $45.56 395.94% $345.56 *Calculation is based on 14 day tenure with 1 payment. Oregon $300 $300 $39.17 153.73% $339.17 *Calculation is based on 31 day tenure with 1 payment. South Dakota $500 $300.00 $75 651.79% $375 *Calculation is based on 14 day tenure with 1 payment. Tennessee $425 $300.00 $52.94 460.07.% $352.94 *Calculation is based on 14 day tenure with 1 payment. Texas $1,500 $300.00 $76.43 664.21% $376.43 *Calculation is based on 14 day tenure with 1 payment. Utah $1,500 $300.00 $75 651.79% $375 *Calculation is based on 14 day tenure with 1 payment. Wisconsin $1,200 $300.00 $75 651.79% $375 *Calculation is based on 14 day tenure with 1 payment.